I have a new old stock M249 bipod for sale. I would like $110 shipped USPS priority for it. 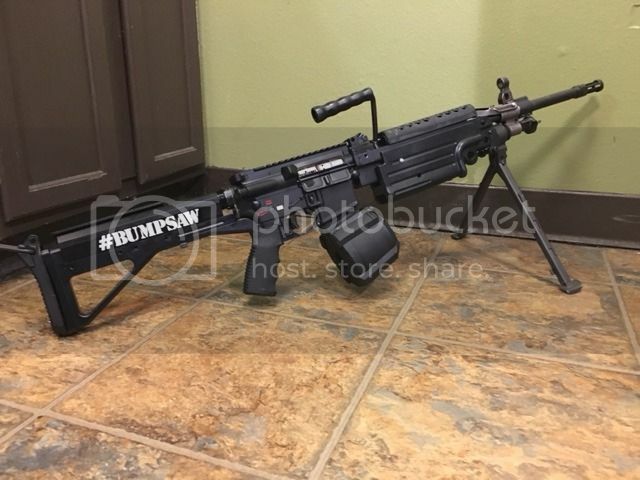 Or would gladly trade for 2 new or used 60 round Surefire mags, or a Magpul D60 drum, or an MWG 90 round drum or basically any drum I can use for my #Bumpsaw.